How to watch Charlie's Colorforms City: Season 1 (2019) on Netflix Germany! Yes, Charlie's Colorforms City: Season 1 is now available on German Netflix. It arrived for online streaming on March 22, 2019. We'll keep checking Netflix Germany for Charlie's Colorforms City: Season 1, and this page will be updated with any changes. 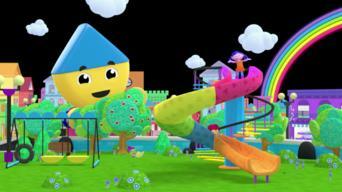 Charlie creates fun stories using different shapes, and he needs your help! Take off for adventures in outer space, the Wild West -- and right at home. Triangles, circles, squares. 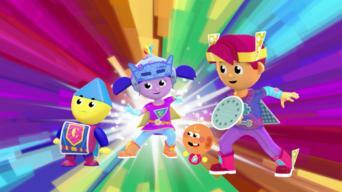 You can make anything if you've got the right shapes -- and some good friends by your side! Season 1 of Charlie's Colorforms City has 13 episodes. Because different Netflix countries have different availability for episodes, you'll need to check the episode listing below to see which are available in Germany. Charlie tries to find a way to make pancakes for all his hungry friends. Star comes down from the sky to play but needs help when she gets stuck. Charlie's rock band has a hard time finding a good place to play. It's Charlie's birthday, but he forgot to send invitations to his party! Charlie and his pals rush to the finish line during the Colorforms City Race. 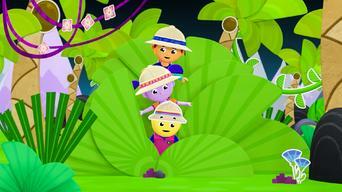 Charlie, Red and Violet become knights and must rescue a hot air balloon. 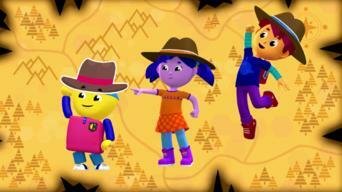 Charlie, Violet and Red go on an adventure to the other end of the rainbow. Charlie creates a cute pet but can't figure out how to care for him. Charlie and his pals do silly things to cheer up a grouchy baby. 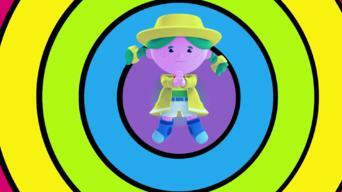 When color starts disappearing, Charlie and Miss Weather try to solve the mystery. An unexpected problem keeps Charlie and his friends awake at his sleepover. Charlie's little brother doesn't want to play the same game as Charlie. Miss Weather goes on vacation and leaves Charlie in charge of the weather. Charlie becomes a giant and learns that being big isn't always easy. When Charlie and his friends play hide-and-seek in an old house, things get silly ... and spooky. Charlie becomes a superhero and has to rescue Klunk. 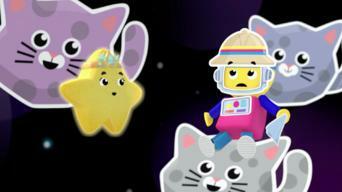 Charlie and his pals head off in a rocket for a fantastic space adventure. It's the Orange Drizzle versus the Blueberry Tornadoes in an epic ball game! 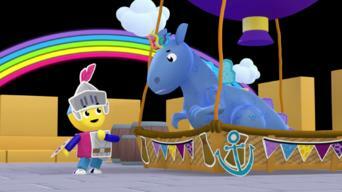 With help from some Silly Faces and Octo-bocto, Charlie plans a surprise party for Violet and Red. The friends help a mermaid looking for treasure. 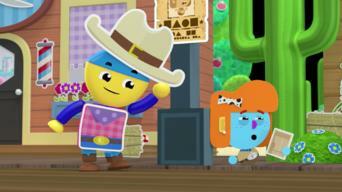 Charlie sets out to prove he's the best cowboy on Old West Color Street. 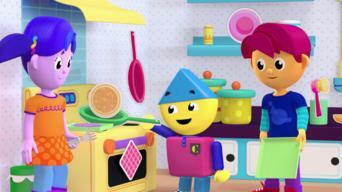 Things get chaotic after a baby discovers Charlie and Red's invention. 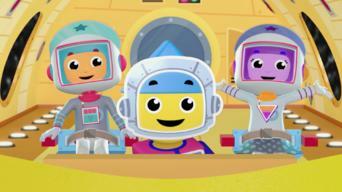 Charlie creates a robot to help him and his friends fix cars, but the robot causes problems. 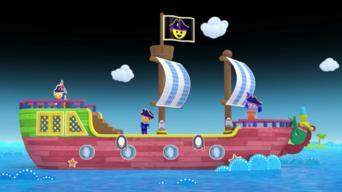 Charlie and his pirate crew search for Pancake Island. Poor Charlie is sick and keeps sneezing himself into different stories! Chef Charlie creates some strange pizzas for his unusual customers.